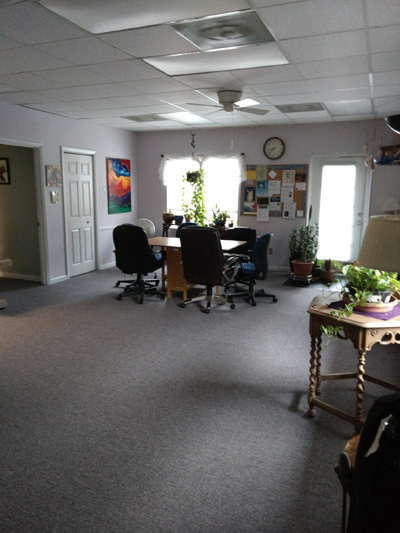 The Community Center is available for anyone to use for gatherings, workshops, private events, etc. Amenities include: 450 square feet, an efficiency kitchen, CD player, filtered water service, folding tables and chairs, massage tables, white boards and markers, student cubicles, and restrooms. See full description and prices on our About page. Check the calendar below for availability. If the dates you want are available, you can reserve the Community Center by emailing Judith Winston at judithjwinston@hotmail.com or by calling 919-906-3528. Use the form below to make your reservation. You must provide all of the required information about the event. Scheduling is on a first come, first serve basis. Reserve 30 minutes before and 30 minutes after your event for set-up and break-down time. Your reservation will be held for one week. You will be sent a contract to fill out and an invoice to return with a check for the entire amount due. NOTE: This fee is not refundable. If the contract & check have not been received within 7 days, the reservation will be removed from the calendar.